Meanders and oxbow lakes are found in the middle course of a river. 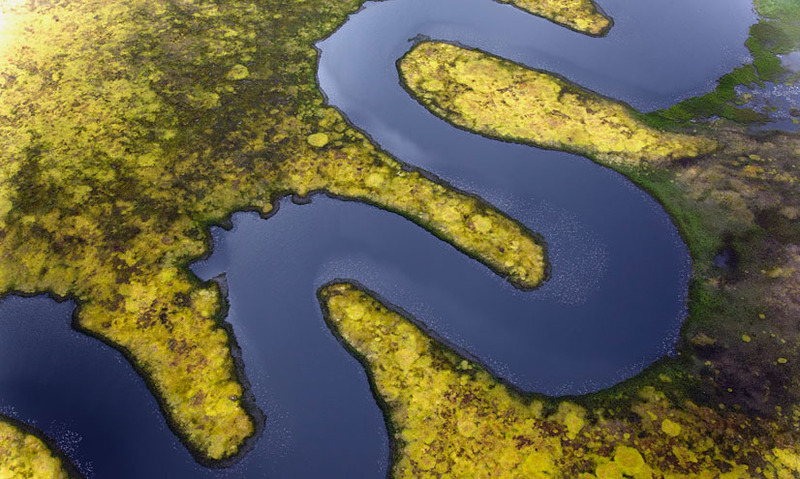 Discover how a meander forms and how this process can lead to an oxbow lake. At its middle course, a river gathers water volume and greater speed, causing lateral erosion. Fluvial transportation occurs, as rocks and sediment are deposited along the riverbanks, creating meanders in the river's course. Erosion is greater at the outside of the bend forming river cliffs, while silt is deposited on the slip-off slope opposite creating a loop or meander. Over time the neck of the meander narrows and further deposition cuts the loop from the river forming an oxbow lake. Although a meandering river may look calm, it has reached an angry adolescence. Having been fed by smaller rivers further upstream. The volume of water at this mid-course point has become much greater.